Discussion in 'HardForum Tech News' started by cageymaru, Dec 3, 2018. The Steam Link app is now available in beta on the Raspberry Pi 3 and 3 B+ running Raspbian Stretch. I'm glad to see Valve Software creating this outlet for users that want the hardware functionality of the Steam Link. Of course the original Steam Link is now discontinued as the Steam Store page is defunct. To install, run the following from a command line: curl -#Of http://media.steampowered.com/steamlink/rpi/steamlink_1.0.2_armhf.deb sudo dpkg -i steamlink_1.0.2_armhf.deb . To run, you can launch it from the Games menu, or run the following from a command line: steamlink. The first time you run it, it will download the full app and create a desktop shortcut, and automatically update as needed. schmide, dgz, Frobozz and 2 others like this. FINALLY! I was using Moonlight and its ok....always thought the Steam Link Streaming was way better. My only limitation with the Steam Link was with high DPI mice, I would get audio stutter and other issues as it maxed out a single core CPU....sounds silly but true story. I have a wireless mouse and couch "lap board" keyboard that I connect for casual games. 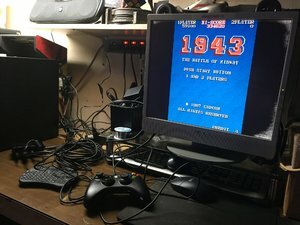 Any of you guys doing really cool stuff like this with a Pi? It's really big at my work, we've had a couple of team building events where a hundred or so engineers get together and mess around with Raspbian while socializing. It's a neat toy to learn bash/python in, but it lacks horse power. I've setup it up as a firewall, DHCP, done some webhosting and stuff like that, but mostly at home I just use it for kodi . I've yet to actually pick one up. I think it's a cool little device, but I've got PCs, consoles, Steam Links, Shield TV, etc. and then I've been dabbling with programmable logic ICs as far as tinkering goes. (aside from the analog circuits I design) Just don't have time for the Pi currently. I ate some. Pie not Pi . Ive built a number of things with it. Picture frame, automated drapes, an ADSB receiver to display traffic in my nearby area, and some other minor projects. Its a novelty for me. perfect now that the link hrdware is no more. If you are willing to share "blue prints" of the automated drapes...I would not object. I been doing home automation projects with a few raspberry pie's and this been on the list of things to investigate....mostly for the room with my fish tank (its a planted aquarium) and controlling the drapes on a timer. Use one for a pi hole and the other for my emulators (with my fully legally obtained homebrew only non-copyrighted game roms). 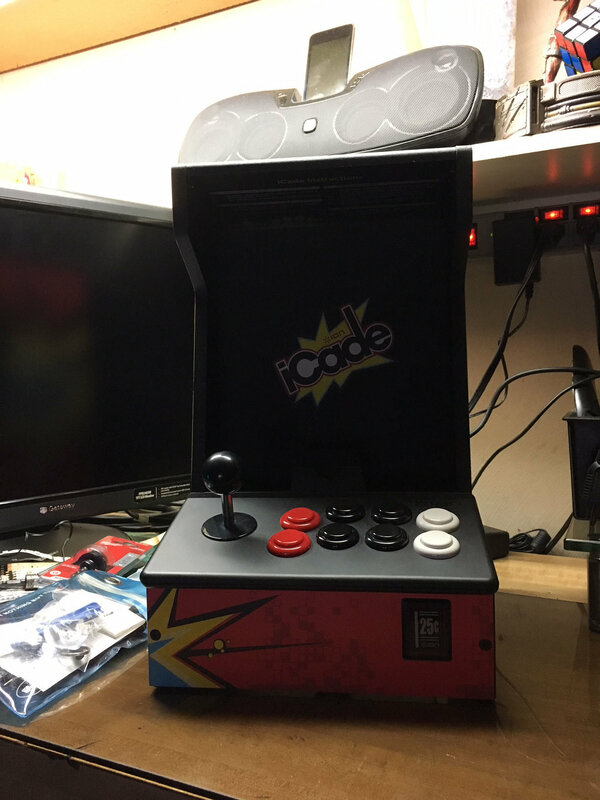 Packing this into a RetroPi box would/could be pretty sweet! 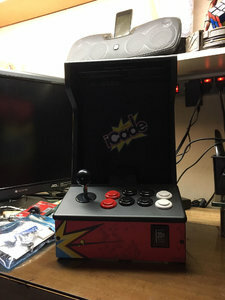 I got one last year, put Retro Pie on it for old console and arcade games, plan on eventually installing it along with a screen and custom joystick setup in my old iCade case. I don't know anything about programming so I just use what others make. Adidas4275 and schmide like this. This is absolutely incredible. Will totally try it on my Pi 3 model B+ when it leaves beta. I hope performance is good. I mean, a modern Pi should absolutely be quite a bit faster than what's inside those Steam Link boxes but I doubt those run a full blown Linux. Tried the Android Beta App on a mid-grade tablet. video seemed ok but touch control sucked. I haven't tried pairing a controller yet. the Steam controller can be changed over to bluetooth. Also complained heavily about the network (maybe the reason for the controls issues). I would suggest (like the prior hardware version) using ethernet on the PI and if you use an android box there too. I have a two camera MotioneyeOS security camera system using two pi zero-ws with IR cameras attached, and a pi 3b+ as the aggregator. Works surprisingly well and was a fun project to play with. I dont typically play games in the living room, but I might build a steamlink pi just to try it out. J3RK and BoiseTech like this. What's really sad is I was gifted a Steam Link over a year ago and it's still in the box unopened as I havent got around to finish running Cat6 through the house. Honestly? You dont want to do what I did. It was horribly inefficient and a total hack job. I just took a B model pi, a motion sensor, and a dc motor (and driver) and connected them with the GPIO pins. The motion sensor is just an emergency drapes up if the dog gets too close (he will tear them down), the dc motor only operates on a timer base don the Pi checking for sunset/sunrise. Oh and its all on a breadboard cuz im lazy. I think the Pi is way overkill for this application. I used spare parts for everything (hence the hack job) and its all powered off the wall and looks ugly. I want to rebuild it all using an arduino and make it battery powered and give it a simple API i can build an app against. Plus I would like it all in one neat little package I can hide behind the drapes. So my recommendation would be to learn from my laziness/mistakes.